Pop Culture Lunch Box: The Beach: A Difficult Read and a NY Times Best-seller? The Beach: A Difficult Read and a NY Times Best-seller? 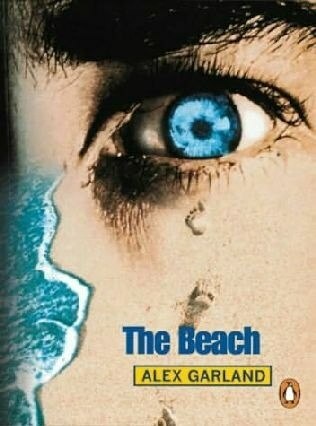 In honor of being just a few dozen miles away from the paradisical settings of the classic Leonardo DiCaprio film The Beach, I thought it only fitting that my beach read be the original novel by British 30-something Alex Garland (thanks for the recommendation, Peter). We may go out to Koh Phi Phi ( which Jackson loves to pronounce as "Pee Pee Island) and Bamboo Island to see the spots where filming took place, but the book has creeped me out a little on doing so. Garland uses simple dialogue and short explanatory sentences in Hemingway's style to tell a pretty good yarn about Richard, a British backpacker who, while staying in a hole in Bangkok, stumbles upon a map to a hidden utopian community on an island off the coast. Richard finds the community and is allowed to stay because he knows a former member of the clan, Mr. Duck, who has subsequently gone mad. The Beach is clearly influenced by Heart of Darkness, Lord of the Flies, and modern pop culture in general. Subsequently, TV shows like Lost and Survivor clearly owe a debt of gratitude to Garland, who is also the young talent behind the screenplays for 28 Days Later and Sunshine. The best parts of the book are the ones that seem less New-York-Times-bestseller-like. I'd like to think the story is less straightforward than it appears and more about Richard truly and slowly losing his mind (is Mr. Duck real and did Richard actually fight in a war or is he hallucinating about this?). Either way, the book eventually made me think, even though I have no idea whether this was Garland's intention or not. Great book but terrible movie. I know it is cliche to say, but when a movie takes the liberty of completely changing the book then it should not be allowed to be realeased under the same title.